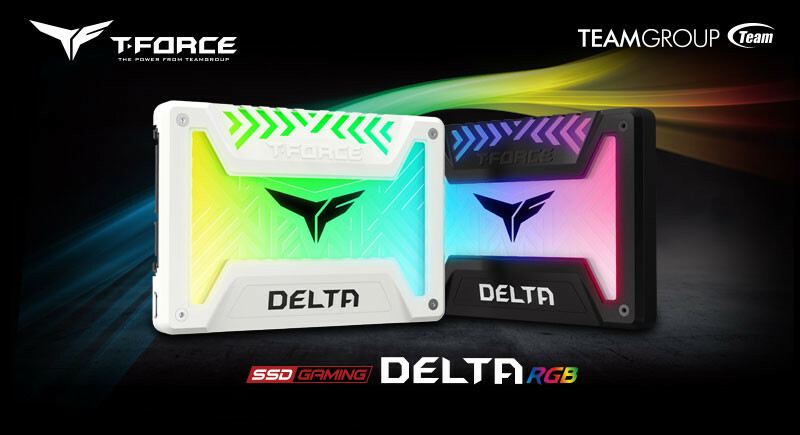 Adding more to its T-Force line up Team Group has now announced another T-Force gaming Delta RGB SSD. The T-Force gaming Delta RGB SSD according to the company claim has the largest RGB luminous area in the industry with the ratio of 5:3. The SSD comes with a 16.8 million RGB color display which gamers can customize the way the like. The new Delta RGB SSD also comes with industries first lighting with water flowing effects which also synchronizes with the motherboard and gives a magnificent mixing with water flowing light to maximize the variability of color. The company also claims that the T-FORCE DELTA RGB SSD can provide maximum speed up to 560MB per second and it takes only a few seconds to boot or load a game. T-FORCE DELTA RGB SSD comes with SATA III 6Gbps interface and it is available in 250GB, 500GB, 1TB variants etc with white and black color options. The only 9.5mm height of the DELTA RGB SSD makes it even more suitable for laptops use. Whether it is a gaming laptop or desktop, the upgrade can be done effortlessly. For full details, you can check out the page here. There is no Pricing and availability is available as of now.